Whether you are a retailer or running a small scale or a large scale organization, your business surely requires a strong market presence due to which your business can expand. Traditional ways of creating market presence included spreading business cards, person to person marketing or pamphlets etc. After the inception of internet, it has become easy for businesses to expand. 1. Increase in iPhone users: Believe it or not, but with launch of every new iPhone/iPod version, users are increasing. People have started accepting these premium devices because of its simplicity. Similarly, apps on the App Store are increasing every minute. 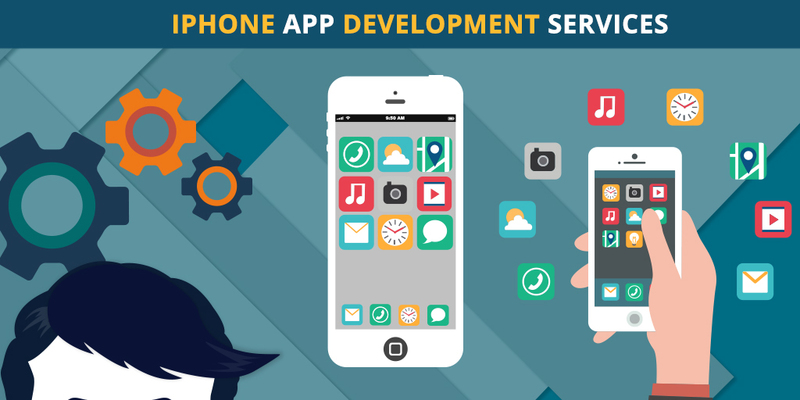 Iphone App development is on the rise since users are increasing in number. Millions of apps are present on the store but just some businesses are successful in making their presence. 2. Time saver: Having a dedicated iPhone app for your customers saves them time. If you’re a retailer, an iPhone app lets them buy products from you directly through your app. It gives them the flexibility to shop from anywhere without wasting time and extra tedious efforts. If they love your app, they would want their close ones to use it too. And this helps your business grow. 3. Trust builder: A trust factor is the first and foremost element of a successful business. And how is this trust developed through an app? Positive reviews and feedback of an app speaks a lot about the business. For eg: Retail stores like Myntra have a superb app on devices. People are tempted to shop there. Positive reviews have build up a level of trust on Myntra. And this is why it has gained millions of users through its app only. 4. Demand of apps: Trends are changing. People are now hunting for apps for stuffs they like or require. If they like grocery shopping, they search for apps on the store related to grocery shopping. Having an app related to your business in there is a wonderful and thoughtful idea. If users love food, even then they would hunt down for apps that give them options for food within their city. 5. Attracts users: An iPhone app if developed superbly and designed in a clean and crisp manner, it attracts users. Especially when it has festive and season offers and sale. Users would want to use the app and shop from you. There are firms and organizations gaining advantage of iPhone apps they’ve got developed. It has helped to expand their business on a wider scale. Do you want to expand your market presence as well? Get started today.